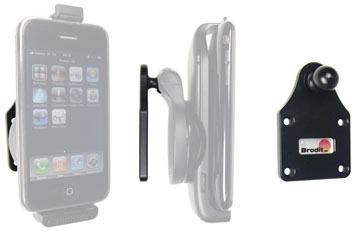 Fitment: Apple IPhone 3GS For All Countries. 2. Loosen the screw in the center of the holder so you can remove the tilt swivel attaching plate on the back. With Cigarette Lighter Cable and USB Cable. Apple approved cable. For a more secure upright and horizontal position. Padded. 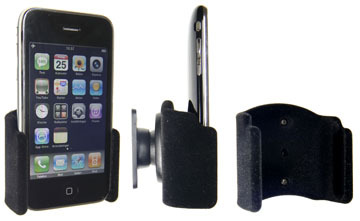 This is the choice for you who are using your iPhone with navigation and easily want to switch between an upright position and a horizontal position - simply turn the holder into desired position. When installing, place the holder in the desired position (upright/horizontal) that you will be using as standard. The holder provides a more secure upright and horizontal position than a standard holder. 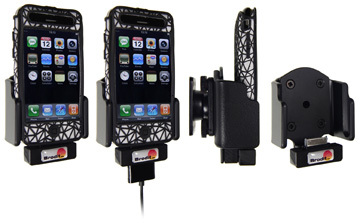 By using an active holder you will always have a fully charged battery. The holder provides a neat and easy installation and the fact that the cable exits from the cab gives a cleaner look. 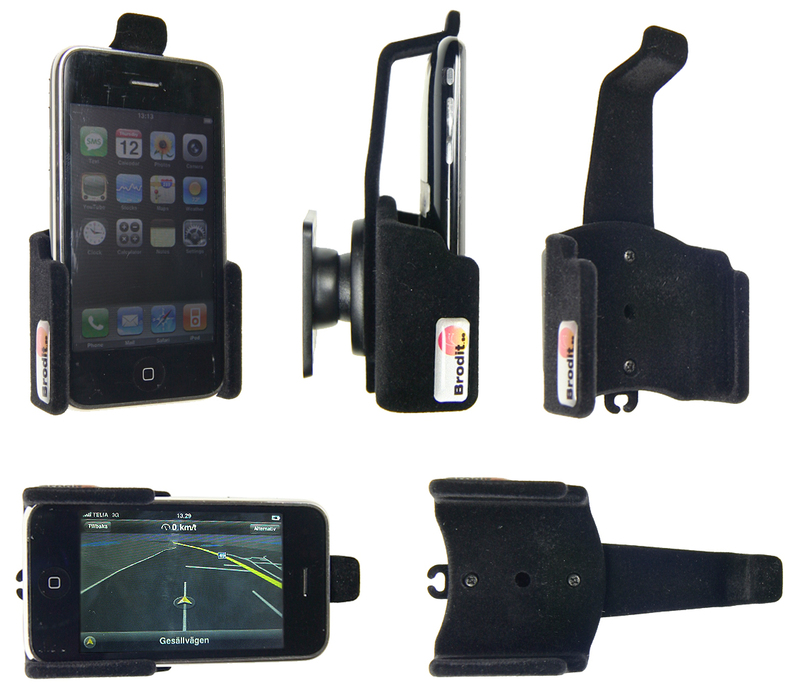 The holder also provides a more secure upright and horizontal position than a standard active holder. 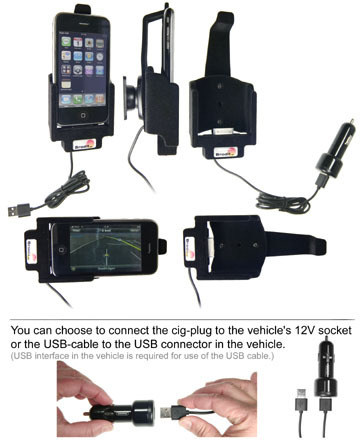 The active holder comes with a USB plug at the end of the cable, which is plugged into a power adapter for connection to the vehicle's 12 Volt socket. 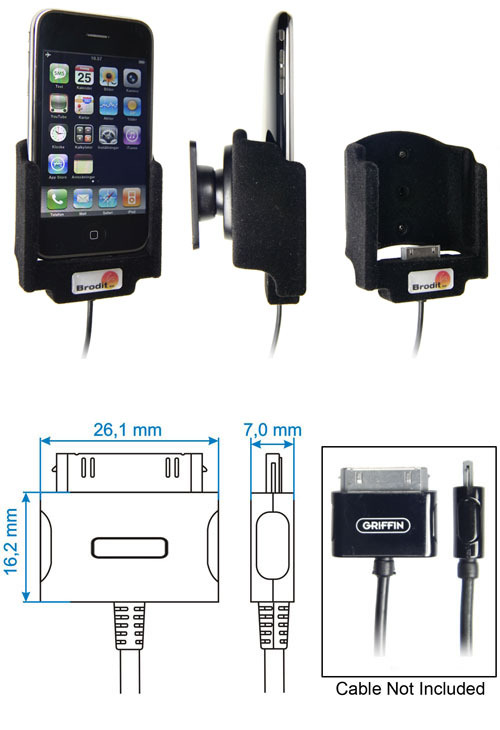 If you have a vehicle with USB stereo interface you can disconnect the power adapter and connect holder USB plug directly to the stereo USB port for charging and playing music from the iPhone. Your iPhone automatically connects to the charging connector every time you dock it in the holder. The active holder is equipped with an Apple-approved cable. The active holder is attached to a tilt swivel, which means you can adjust the angle of the device for better viewing and to avoid light reflection on the screen. 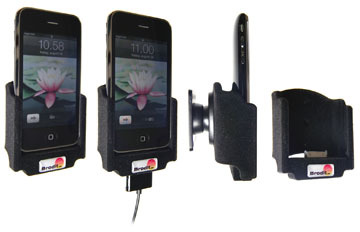 Holders for Mobile Phones and Smartphones. 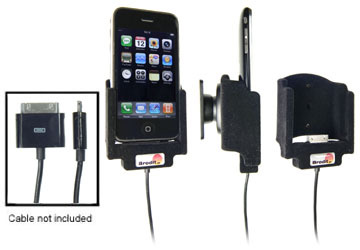 A holder makes it much easier to use your unit in your car. 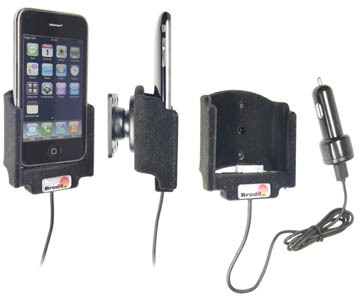 Keep your phone or navigation unit in a holder and you will always have your it in easy reach - safe and convenient! 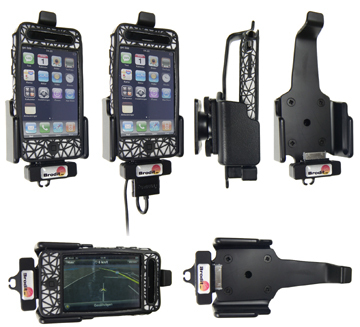 The holders are customized for every different phone or navigation unit model, and are available for most models on the market. Holders are available with various features, from passive holders to more advanced solutions for fixed installation. A customized holder is usually ready when a new model appears on the market. The holders have a perfect fit and provides a firm installation. It is easy to place the unit in the holder, and to take it out of the holder. With your unit in a holder, it is always within easy reach. Our goal is to provide you with convenient products and solutions, to give you a safer driving environment while driving and operating your equipment.